This time the story is not about where I am going, but where these Christmas trees are going. 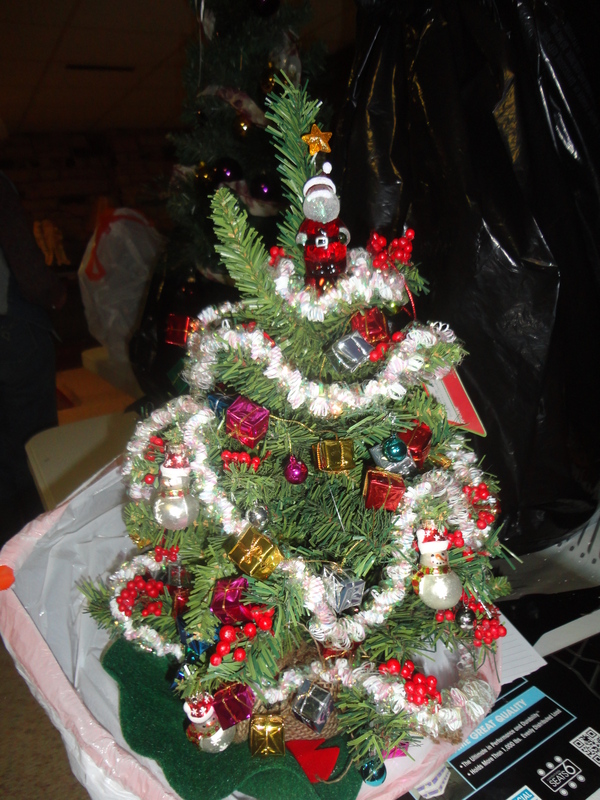 The Springfield Civic Garden Club (SCGC) collected donations all year long of Christmas ornaments, stockings, small trees and other Christmas decorations to create trees that they place in a bag, then deliver to a charity and the charity delivers it to a family or individual. Before I left the house, my mind was on story deadlines, an upcoming trip and almost everything but the story I was assigned for Senior News &Times. I thought seeing the decorated trees would get me into the Christmas spirit, but I didn’t know it would get me more into the giving spirit. This reality hit home to how many have so little. I wanted to share this worthy program with my blog readers. A much more detailed version will be in the January issue of Senior News &Times where the focus is collecting donations for the 2014 holiday season. For more information about the SCGC, log onto their website at www.SCGC-IL.org. To find out where to take donations, contact Sherry Montgomery at SCGC-IL@hotmail.com. Next Post: Watch for the Farm Toy Show to be held in conjunction with the 32nd Annual Greater Peoria Farm Machinery Show.